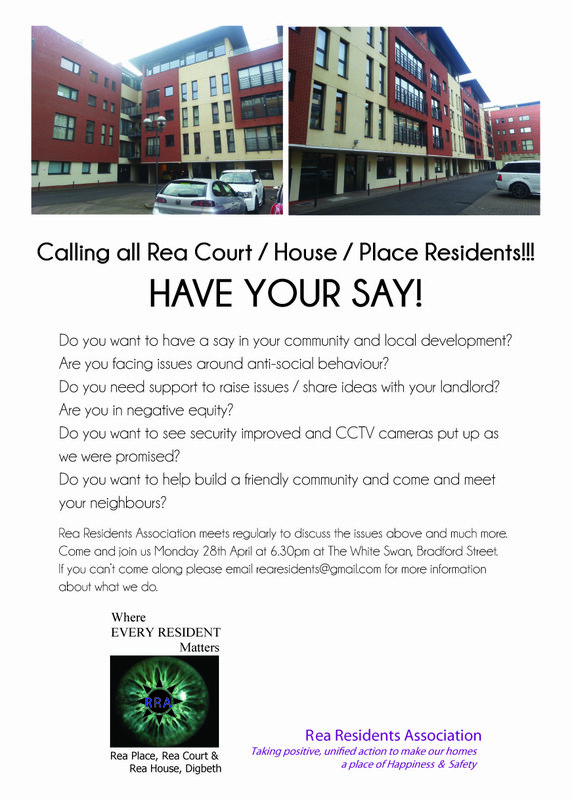 Calling all Rea Court, Rea House and Rea Place residents! Are you frustrated with the management of the Rea development? Then please join the next meeting of Rea Residents Association at the White Swan on Monday. Rea Residents Association are partners of Digbeth Residents Association, but are focussing on a number of very specific issues at the Rea developments. For more information, or if you are unable to make the meeting, please email rearesidents@gmail.com.